(Updated March 31) The full results of December 2016 (written), January and March 2017 revalidation for Real Estate Consultants boad exam together with the full list of passers, top 3 (topnotchers) and performance of schools are available on this page as announced on Friday, March 31. UPDATE: PRC announces that 31 out of 44 passed the exam. The Professional Regulation Commission (PRC) and the Board of Real Estate Service administered the Real Estate Consultant Licensure Examination on December 11 (written) and on January 10-12 and March 29-30, 2017 for the revalidation. The members of the Board of Real Estate Service are Dr. Eduardo G. Ong, Chairman; Florencio C. Diño II and Rafael M. Fajardo, Members. Maria Lourdes Suyang Deiparine from University of San Carlos (USC) topped the board exam with 83.60% grade. 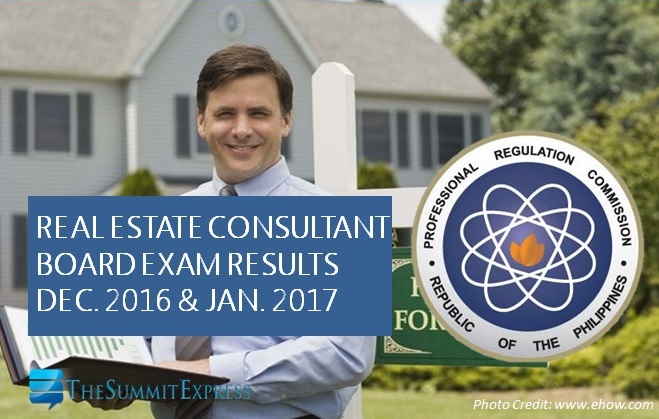 The Real Estate Consultant board exam covers the fundamental of real estate consulting and professional consultancy practice (written); project feasibility study (FPS) or thesis and revalidation/oral examination. In the same period last year, exam results were released in just one (1) working day. A total of 49 out of 64 passed the Real Estate Consultant Licensure Examination. Starting April 5, 2017, registration for the issuance of Professional Identification Card (ID) and Certificate of Registration will be done on-line. Please go to www.prc.gov.ph and follow instructions for initial registration. 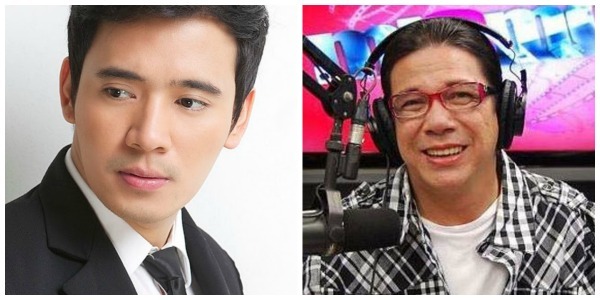 MANILA, Philippines - Kapamilya singer Erik Santos and Cornerstone Entertainment Inc. founder and president Erikson Raymundo have taken legal actions against showbiz reporter Jobert Sucaldito after the latter allegedly damaged the reputation of the complainants. Santos and Raymundo filed a libel suit and several legal complaints against Sucaldito before the Quezon City Prosecutor’s Office on Thursday, March 30. 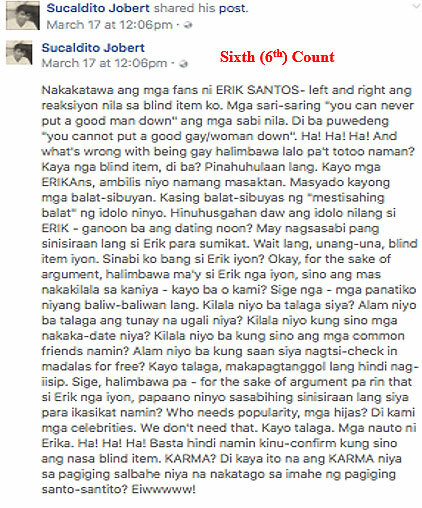 Through a series of blind items in several Facebook posts, Sucaldito reportedly called Santos gay and accused of him of freeloading and having sexual relationships with male singers and masseurs. "Okay, for the sake of argument, halimbawa may si Erik nga iyon, sino ang mas nakakakilala sa kaniya-kayo ba o kami? Singe nga- mga panatiko niyang baliw-balian lang. Kilala niyo ba talaga siya? Alam niyo ba talaga ang tunay na ugali niya? 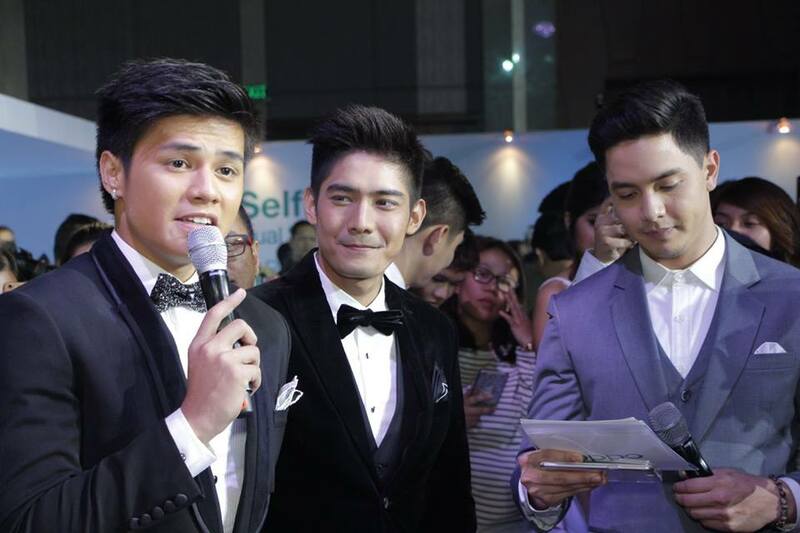 Kilala niyo kung sino mga nakaka-date niya? 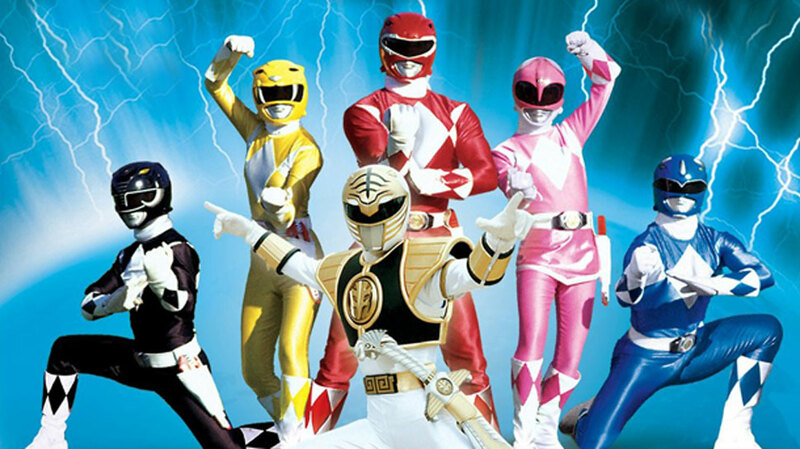 Kilalala niyo ba kung sino ang mga common friends namin? 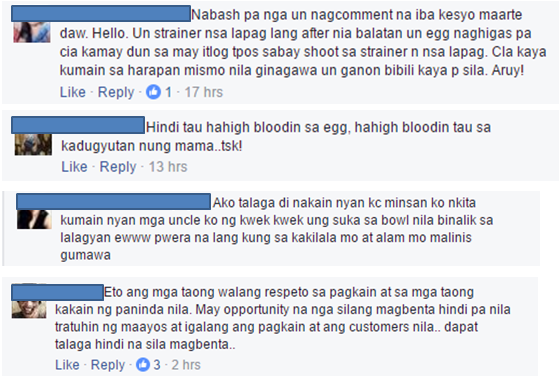 Alam niyo ba kung saan siya nagsti-check in madalas for free?” Sucaldito wrote on Facebook. In Sucaldito’s latter posts, he explicitly name-dropped the singer. Sucaldito also launched a personal attack against Raymundo, whom he accused robbing other artists of projects. According to Santos, Sucaldito’s accusations caused him mental anguish, serious anxiety, sleepless nights, besmirched reputation, wounded feelings and social humiliation." "Attacking my sexuality is a clear insult and harmful to my person and career. He also repeatedly attacked my character, labelling me a traitor and one who mooches on other people,” Santos said in his affidavit. Meanwhile, Raymundo claimed that Sucaldito smeared the reputation of his talent agency, which handles the career of Santos. Sucaldito currently faces complaints that totaled to 43 counts of cyber libel, 12 counts of grave threats, 2 counts of libel and 1 count of slander. Santos is seeking P10 million for moral damages and P2 million for exemplary damages from Sucaldito. 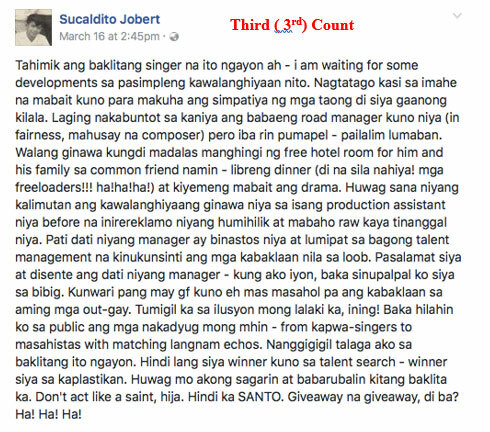 Sucaldito has recently released an official statement on his Facebook Page and is set to file his counter affidavit any time soon. MANILA, Philippines - The long wait for the highly anticipated Galaxy S8 and S8+ is finally over. 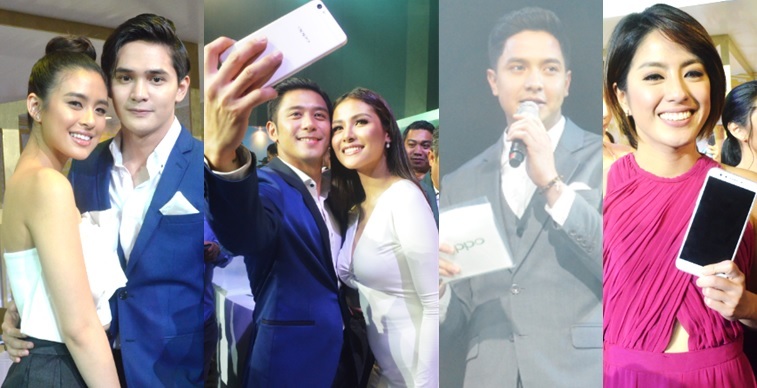 Samsung Electronics Philippines officially launched their latest flagship smartphones on Thursday, March 30 or few hours after the global unveiling. 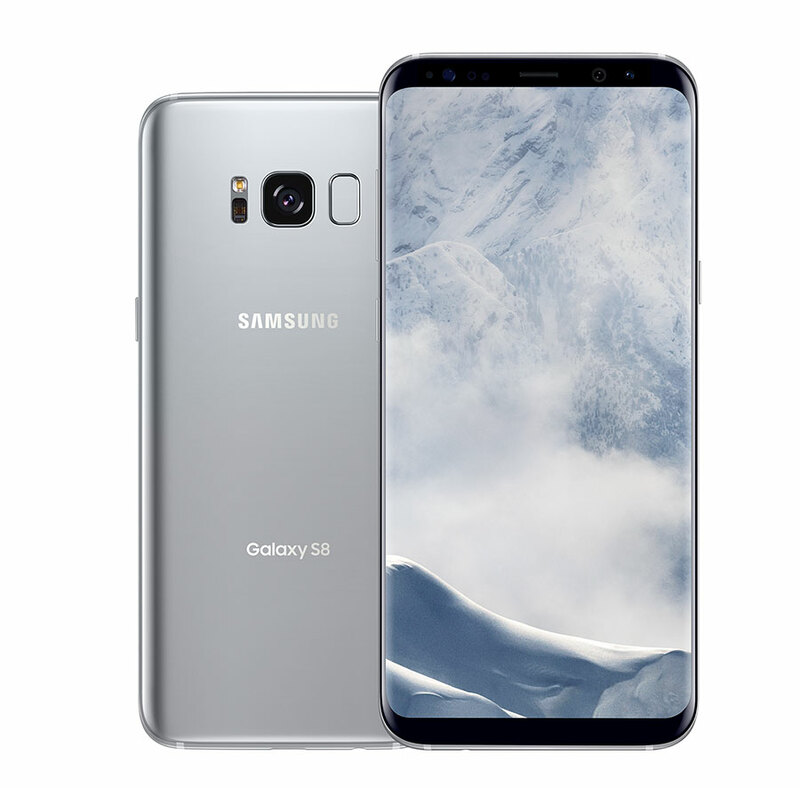 Meet the Samsung Galaxy S8 and S8+. The latest addition to Samsung Galaxy S series raises the bar for mobile technology, reinventing what modern smartphones should have. 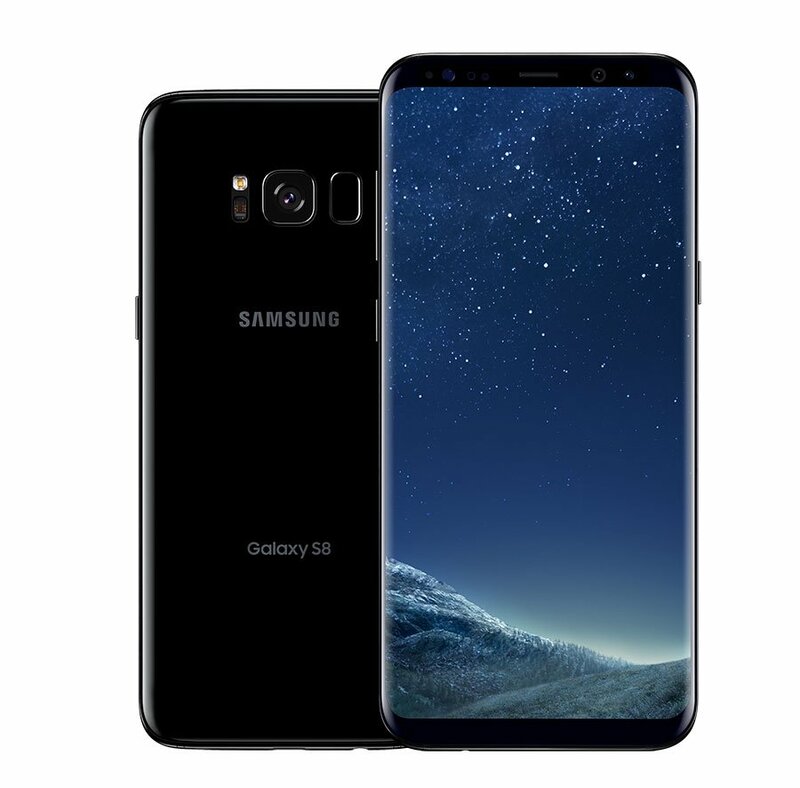 Why you should reserve your own Samsung Galaxy S8 or S8+ today? 1. Infinity Display. The Galaxy S8 and S8+ feature a stunning infinity display at 5.8" and 6.2" respectively. 2. Excellent Camera. S8 and S8+ boasts of a 12MP Dual Pixel camera with 1.7 aperture that allows capturing stunning photos even in lowlight. 3. IP68 Water and Dust Resistant. It will enable users to worry less as their smartphone is always protected. 4. Best Security. It comes with Iris Scanner, Face Recognition and Fingerprint Scanner that keep files and other data safe. 5. Seamless Multi-tasking. It will run on 10nm mobile processor that will allow optimized energy consumption. 6. Bixby, intelligent personal assistant. Samsung's latest personal assistant, Bixby, increases productivity as it innovates the way users interact with their phones. 7. Expanded Ecosystem. The mobile experience can be further expanded with a wide array for accessories including the new Samsung DeX for mobile desktop experience never seen before, the Gear 360 to capture the world around and improved Gear VR. Samsung Electronics Philippines unveils Galaxy S8 smartphone at Nobu Hotel, City of Dreams on Thusrday, March 30. At a price of P39,990 for the Galaxy S8 and P45,990 for Galaxy S8+, those who will pre-order will get free wireless bottle design speaker worth P5,099. 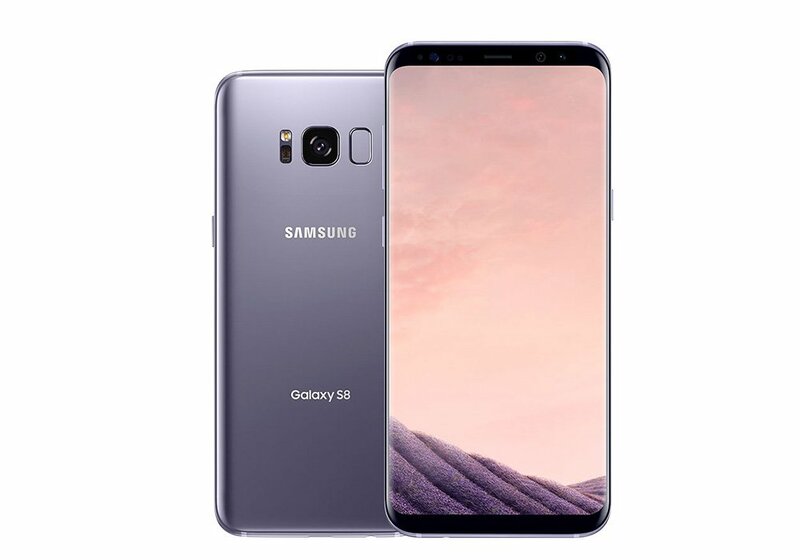 Pre-order of the Galaxy S8 and S8+ starts April 17 and will end on April 29. Consumers may choose from available colors - Midnight Black, Maple Gold or the new Orchid Gray. The new devices will be released in the country on May 5. I was pleasantly in awe with what I watched. Shot mostly in a picturesque town in Alaska, where spectacular display of Northern Lights can be seen frequently, thus, the movie took its name. This is a natural phenomenon that results from collisions of gaseous particles in Earth's atmosphere, more popularly known as the Aurora Borealis. It can be observed in North America and parts of Europe. ‘Northern Lights: A Journey To Love’ is a romantic drama film starring Piolo Pascual, Yen Santos, and Raikko Mateo. Directed by Dondon Santos, Northern Lights tells the story of people who are looking for something and someone in their lives, who crosses their paths in Alaska. Charlie Jr, Raikko Mateo, was sent by his mom (Maricar Reyes) to Alaska to spend the school vacation together with his father, Piolo Pascual. Here we've seen how brave the kid was, to fly alone to Alaska just to see her father for the first time. From the moment, mother and son scene; you could tell that there is something wrong with her. Where in the world could you find a mother who will let her child travel alone to the other side of the world? Angel (Yen Santos), an HRM student who is also flying to Alaska for training, happen to be sited next to a young Charlie. She served to be his travelling partner and guardian for the trip. They easily connected like they knew they’ll become family in the future. Charlie Sr and Angel bumped each other at the airport. Charlie is immediately drawn to Angel - love at first sight might have been. Soon enough, Angel happened to book in an Airbnb house which is owned by the family of Charlie. Yas! What a small world it is. We’ve seen the hardship of Charlie on how to accommodate and be a real father to his son of 8 years. Despite of not having communication at all, no father can hide his love to his son, he managed to give twinning branded shoes each time he will have a new one. Charlie Jr, eavesdropped and learned that his father had nothing to do on the process of him flying to Alaska, that it was just his grandparents and mother. You sure how an innocent child would feel. This apparently straightforward father-son bond gets a little complicated when Charlie Sr falls in love with Angel. Angel is having a side trip looking for her runaway mother after her training. She believed that his father just let her mom go away. With no one to come along with, she let Charlie Sr to accompany her in finding her mom. The revelation wasn't good enough to break a daughter's heart whom half of her life spent looking for answers. Flashes of past memories made us stopped agonizing what conflicts have Charlie and ex-girlfriend gone through. Charlie worked as an OFW and moved to Alaska with his parents, he left behind in the Philippines his already pregnant girlfriend. He promised to come back for her that he did after two years, unfortunately finding out that his girlfriend met another man. Moving on to the conflicts arising from both parties, the answer were dealt with by the end of the film. A little cheesy pickup lines were thrown to Angel in the hopes of a romantic love story. Just the right blend of drama with well written characters. Lastly, this film deals with death, love, forgiveness, and change. It was such a beautiful movie that had far more drama than romantic moments. What I loved about the film was the cinematography. It looks visually stunning that it sets the expectation of movie-goers first time to hear the title of the movie. 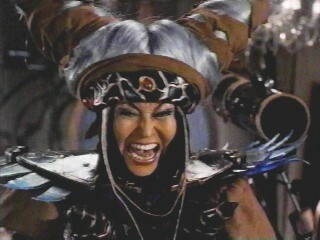 This movie felt like it had a high budget, well in fact. Every scenery was beautiful. The mountain's beauty was wonderfully displayed well. You’ll surely enjoy watching the film because of its beautiful location that was fully utilized. Not just the heart of Piolo that was bulls-eyed by it but also the hearts of those who have watched it. The film's good cinematography help to boost the emotion of the characters, knowing too well that Filipino has a soft heart when it comes to family. Would I watch this film again? Yes, I would. And would I recommend it? Absolutely, and most specially to those who are dreaming of seeing Aurora in person. 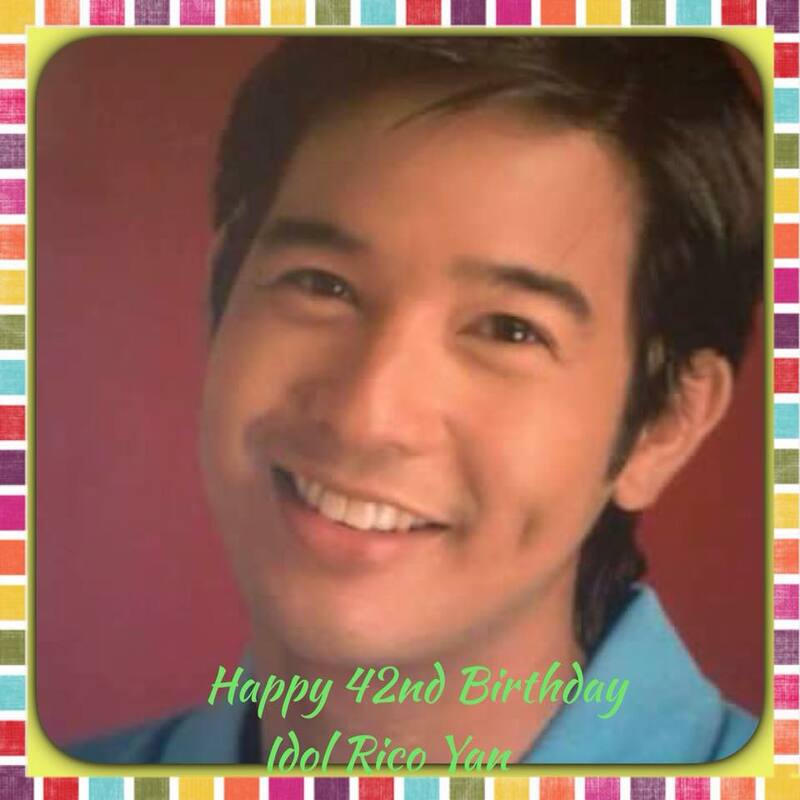 MANILA, Philippines - Exactly 15 years ago, the entire country was shocked when popular matinee idol Rico Yan suddenly passed away of cardiac arrest due to acute hemorrhagic pancreatitis on March 29, 2002. 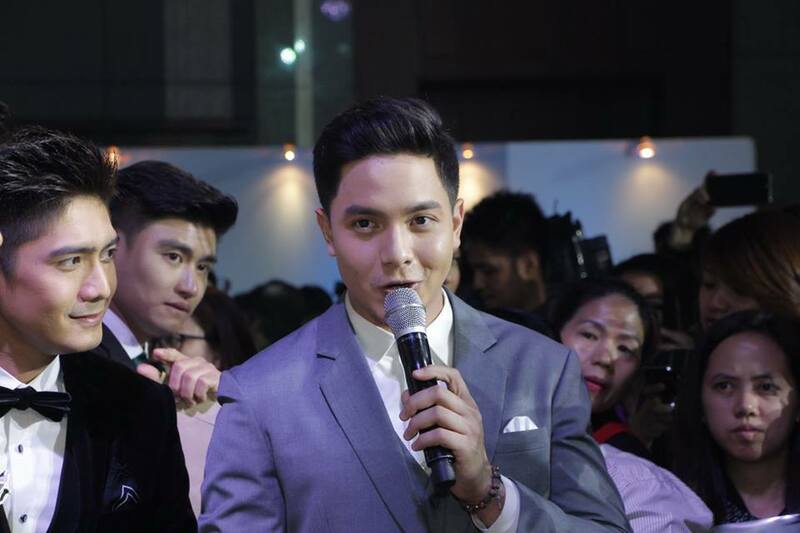 The Pinoy film and TV actor, model, host, spokesperson and entrepreneur, who was at the peak of his career when he died, certainly left a mark in the Philippine TV and movie industry. 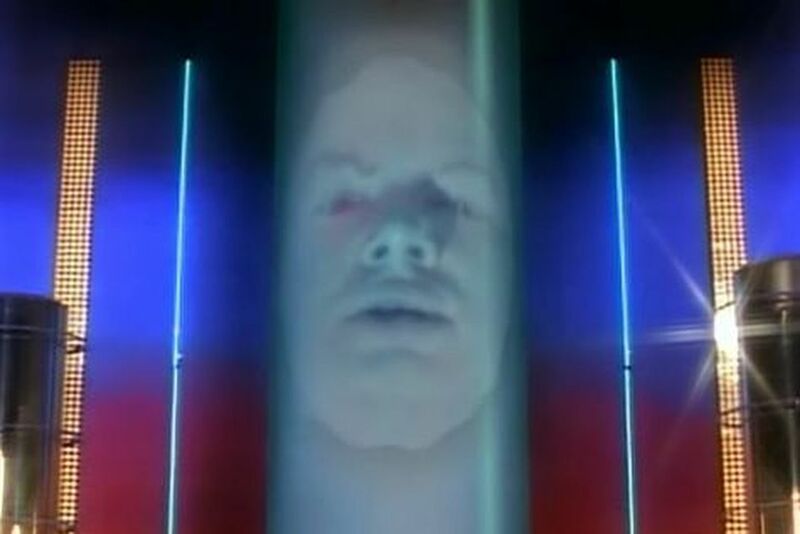 Here are some reasons why we still miss Rico, even 15 years after his death. 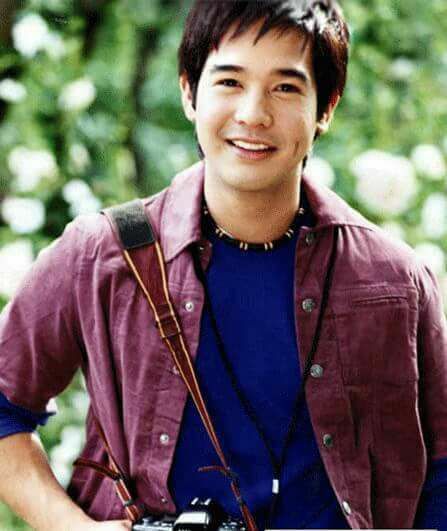 Did you know that Yan became the first official youth spokesman for the Department of Education Culture and Sports in 1998? With a degree in Marketing Management from De La Salle University, Yan was certainly the right choice to promote education among young people. In addition, Yan was the first Philippine National Red Cross Pledge 25 spokesperson in 1999. 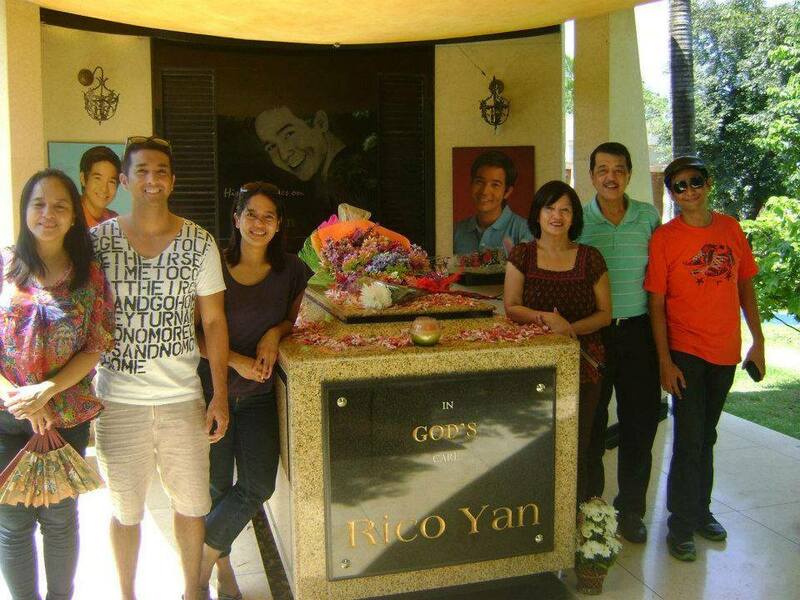 Even after his sudden passing, Yan shared his success to the Rico Yan Youth Foundation through proceeds from the ticket sales of his last movie “Got 2 Believe” as well as his documentary “Forever Young”. Yan definitely left the Filipino youth a life legacy. 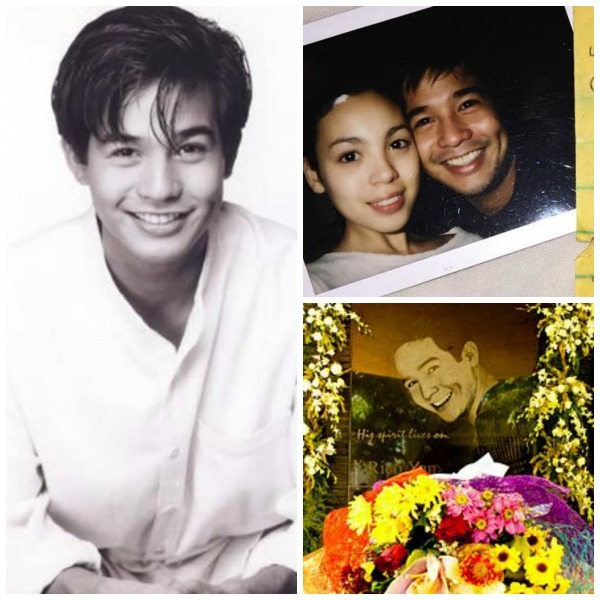 Nearly 15 years after his death, Yan’s former girlfriend Claudine Barretto decided to give a glimpse of their relationship by sharing a series of handwritten letters given by her former beau through her Instagram account in 2016. The two were considered as one of the most popular love teams in the 90’s. Is it safe to undergo multiple cosmetic surgeries at once? MANILA, Philippines - The sudden passing of a 29-year-old businesswoman while undergoing three cosmetic procedures at a plastic surgery clinic in Mandaluyong City on Sunday, March 26 has got netizens asking about the safety of going through multiple surgeries at once. 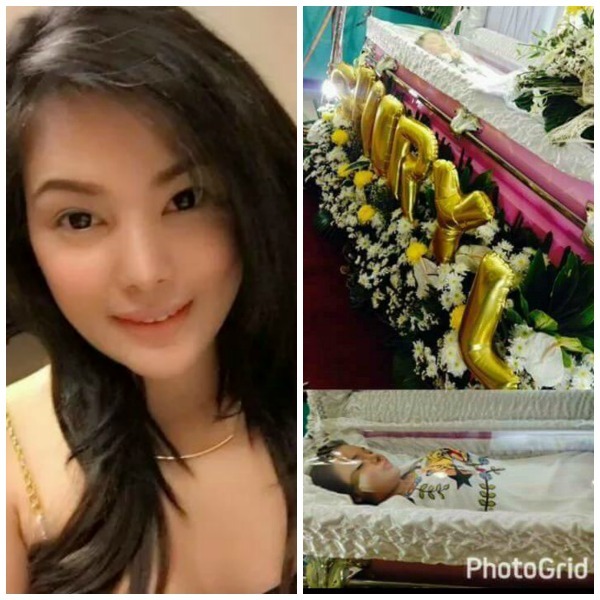 Shiryl Saturnino, who underwent liposuction, breast augmentation and buttocks surgery from 5 pm on Saturday, March 25 till 2:40 am on Sunday, March 26 at The Icon Clinic, suddenly died nearly an hour after she was operated on. According to investigators, anesthesiologist Dr. Jose Jovito Mendiola and surgeon Dr. Samuel Eric Yapjuangco noticed that Saturnino’s heart stopped beating as she was about to be wheeled to the recovery room. Although doctors tried to revive her and even sought the help of another doctor from Makati Medical Center, Saturnino was declared dead at around 3:21 am. Police are awaiting the results of the autopsy to determine the possible negligence of doctors. It was reported that Saturnino had nose surgery and a breast procedure in the same clinic in the past. In her interview with ABS-CBN News, Philippine Society for Cosmetic Surgery, Inc. (PSCS) President Dr. Rosario Ballece clarified it is not prohibited to conduct three procedures at one time. However, she emphasized that it may not be ideal due to the long number of hours that the patient will be subjected to general anesthesia. “I don't think I am going to do it. I don't want to go into surgery for a long time, both for the safety of the patient, and for the safety of the doctor as well,” Dr. Ballece explained. “Wala naman silang (mga doktor) nilabag. Kung gusto ng pasyente na tatlong surgeries ang gawin at one time, walang problema doon,” she added. Dr. Ballece revealed that the three procedures would take about 11 hours and should be considered a major operation. Even if the procedures become successful, the patient would have difficulty taking care of her implants. Ballecer suggests that such procedures should be carried out in hospitals. MANILA, Philippines - With thousands of uploaders on popular video sharing site very month, only few YouTubers emerge on top as they not only amassed overwhelming amount of views but also have strong following that keep their fans engaged and hyped. We've picked four of the rising Filipino YouTubers that deliver transcendent classical, original sounds and covers everyone should never miss this year. Yes, they deserve a spotlight. Karl Zarate is a YouTube artist who does cover versions of popular songs. This 22-year old singer is also into vlogs, song parodies and collaboration projects with fellow YouTube creators. He was part of reality talent shows on TV such as RisingStars Philippines on TV5 and Just Duet on GMA 7. Agsunta is an independent Filipino band popular for its acoustic and soft melodic rock sound influenced by Original Pilipino Music (OPM). It is comprised of students from De La Salle College of Saint Benilde pursuing degrees in Bachelor of Arts in Music Production. Agsunta’s band members are Jireh Singson (vocals, rhythm guitar, keyboard), Mikel Arevalo (lead guitar, backing vocals), Josh Planas (bass guitar, backing vocals), and Stephen Arevalo (drums, percussion, keyboard, backing vocals). Agsunta popularized #AgsuntaSongRequests and #AgsuntaJamSessions -- a series of video recordings of the band performing OPM songs. Reneé Dominique is a YouTube creator and singer-songwriter who has entranced viewers with her original songs and ukelele covers of popular songs by artists such as The Beatles, Maroon 5, The Weeknd, and more. The muti-talented musician plays the piano and the guitar and also part of Star Music's album "OPM Fresh." Reese is a singer-songwriter, visual artist, graphic designer, fashion designer and published author. On her YouTube channel, she showcases her musical talent, ang through her videos, you'll see her work her magic for telling compelling stories through her songwriting. She also wrote "Home," the wedding song for Vic Sotto and Pauleen Luna's nuptial and has also worked with some of the popular brands like Guinness World Records, Spotify, Coca Cola and Disney. 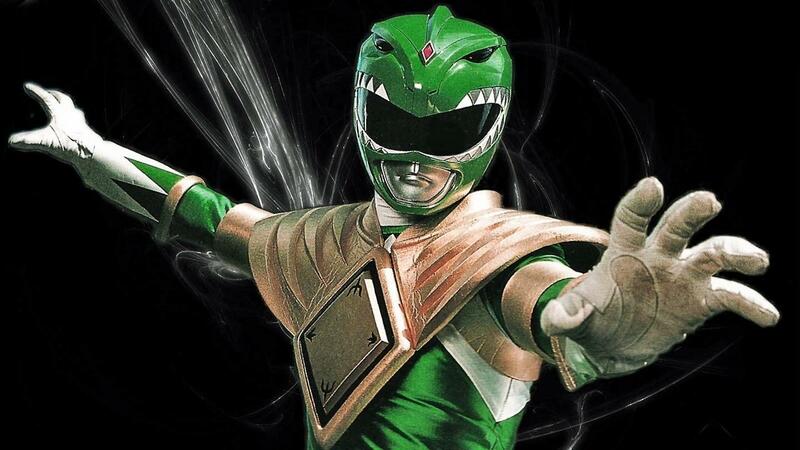 Who's your fave so far? Tell us in the comment section below. 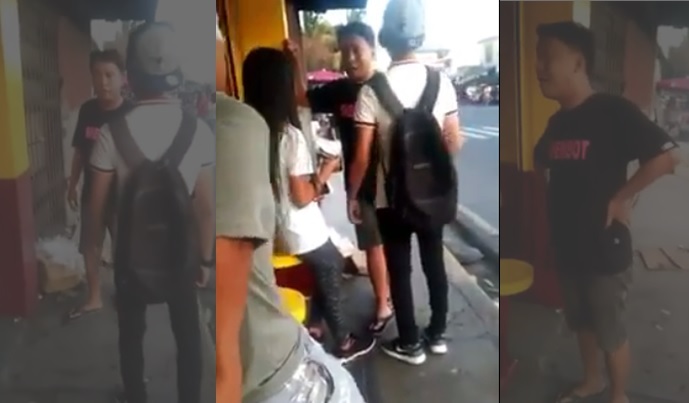 MANILA, Philippines - A gay man who caught his alleged lover cheating with a girl has become the latest social media sensation after videos of him apparently attacking the two went viral on social media. The controversial videos posted by a certain Enchong Ching on Facebook immediately became a viral hit and have amassed over 76,000 shares and more than 16,000 reactions. In the said video clips, the unidentified gay man was seen berating his alleged lover and his girlfriend in a popular burger joint. The gay man was heard revealing his relationship with his lover to the latter’s girlfriend. He also pointed out that he was giving money to his alleged lover. His accusations were repeatedly denied by his alleged lover. At one point, the gay man hit the girlfriend which prompted his alleged lover to retaliate. “Hihingi ka ng pera para pang-motel niyo. Ano? 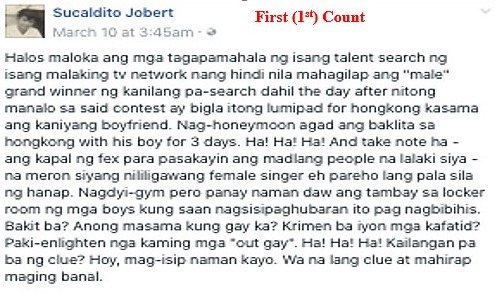 San kayo mag-momotel?” the gay man asked his alleged lover. The gay man also took the opportunity to disclose that his alleged lover has other girlfriends, but this didn’t seem to convince the girl. Several netizens believe that both the gay man’s alleged lover and girlfriend are minors and shouldn’t have been physically or verbally abused by the former despite the circumstance. Others stressed that the gay man shouldn’t have hit the girl as she can certainly file a legal case against him. A certain Jon Lopez Villamor, who claims to be the spiritual adviser of the alleged lover, said that the gay man will soon release an apology and that the issue has been escalated to proper authorities. He requested for the videos to be taken down in order to protect the minors involved in the incident. 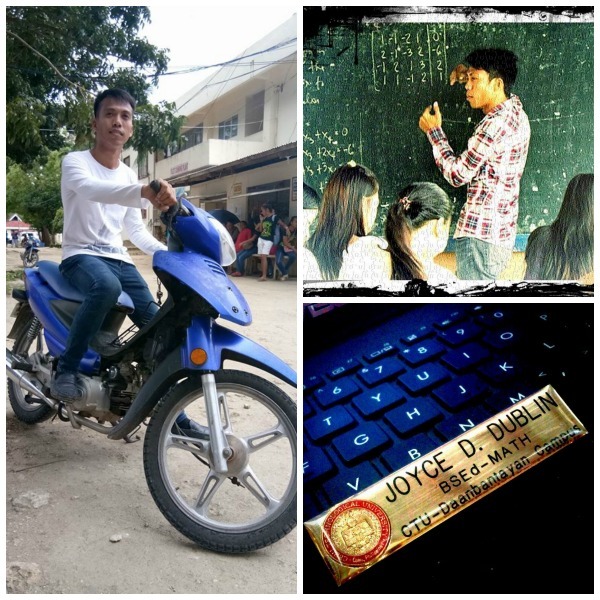 CEBU, Philippines - Joyce Dublin, a 30-year-old former habal-habal driver, will soon reach his greatest pit stop as he will finally earn his Bachelor’s degree in Education, Major in Mathematics at the Cebu Technological University-Daanbantayan campus this month. Even with a bright future ahead, Dublin, who graduated as class valedictorian in high school, had to give up his plans for college in order to help his family. Dublin had to work as a habal-habal or motorcycle driver in order to help his mother, who sells bread, to make ends meet for their family. During one of his trips, Dublin met a passenger who would forever change his life. After learning about Dublin’s performance in school, the kind-hearted passenger offered to pay for his education. Realizing that it was a once-in-a-lifetime opportunity, Dublin accepted the offer without second thoughts and soon enrolled at the university. Eventually, he also received a scholarship grant from the university. According to his professors, Dublin displayed real passion for work while working as an intern. They said that the Education major taught students “even beyond the walls of the classroom”. After earning his Bachelor’s degree, Dublin hopes to fulfil his goal of becoming a licensed teacher. A review center has already offered him a discount to prepare for the Licensure Examination for Teachers (LET). A common mode of transportation in rough, steep terrain and narrow roads in the Philippines which jeepneys and tricycles cannot withstand, habal-habal is a motorcycle modified to sit more than two people. In Cebu City, habal-habal will soon operate under an online booking system so drivers can’t collect big fees from passengers. 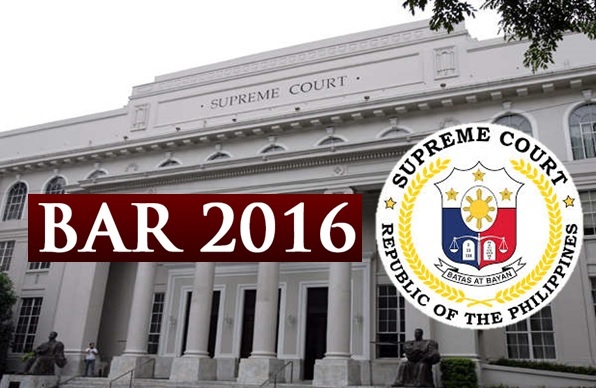 2016 Bar exam results out before Holy Week? MANILA, Philippines - The Supreme Court (SC) is expected to release results of the November 2016 bar exam before the Holy Week, radio station DWIZ reported on Saturday. The SC through Associate Justice Presbitero Velasco Jr. told this development to en banc, barring unforeseen circumstances. In a report, Velasco added the estimated passing rate of up to 40% or more than 2,000 examinees may pass the bar. If there will be no changes on this announcement, the 2016 passing rate will be the highest for the past 10-15 years. 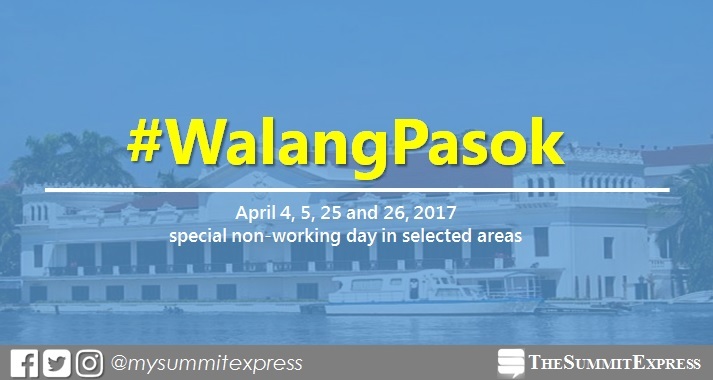 Holy Week 2017 starts on April 9, Palm Sunday. This will be same case with the 2012 bar exam, with results released few days before the Holy Week. For the 2016 bar exam, takers may expect results from April 3 to 7 (Monday to Friday). A total of 6,344 law graduates completed the the tests on the four Sundays of November 2016 at the University of Santo Tomas (UST), Espana, Manila. MANILA, Philippines - Samsung Electronics has confirmed the introduction of Bixby, its own voice assistant and the rival of Apple's Siri, which is set to debut on Samsung Galaxy S8. "The interface must be natural and intuitive enough to flatten the learning curve regardless of the number of functions being added. Samsung has employed artificial intelligence (AI), reinforcing deep learning concepts to the core of our user interface designs. Bixby is the ongoing result of this effort," InJong Rhee, Executive Vice President, Head of Samsung R&D, Software and Services said. Bixby: When an application becomes Bixby-enabled, Bixby will be able to support almost every task that the application is capable of performing using the conventional interface (ie. touch commands). Other AIs: Most existing agents currently support only a few selected tasks for an application and therefore confuse users about what works or what doesn’t work by voice command. Bixby: When using a Bixby-enabled application, users will be able to call upon Bixby at any time and it will understand the current context and state of the application and will allow users to carry out the current work-in-progress continuously. Bixby will allow users to weave various modes of interactions including touch or voice at any context of the application, whichever they feel is most comfortable and intuitive. Other AIs: Most existing agents completely dictate the interaction modality and, when switching among the modes, may either start the entire task over again, losing all the work in progress, or simply not understand the user’s intention. Bixby: When the number of supported voice commands gets larger, most users are cognitively challenged to remember the exact form of the voice commands. Bixby will be smart enough to understand commands with incomplete information and execute the commanded task to the best of its knowledge, and then will prompt users to provide more information and take the execution of the task in piecemeal. Other AIs: Most agents require users to state the exact commands in a set of fixed forms. Samsung said there will be a dedicated Bixby button located on the side of Samsung Galaxy S8. At the launch of the Galaxy S8, a subset of pre-installed applications will be Bixby-enabled. 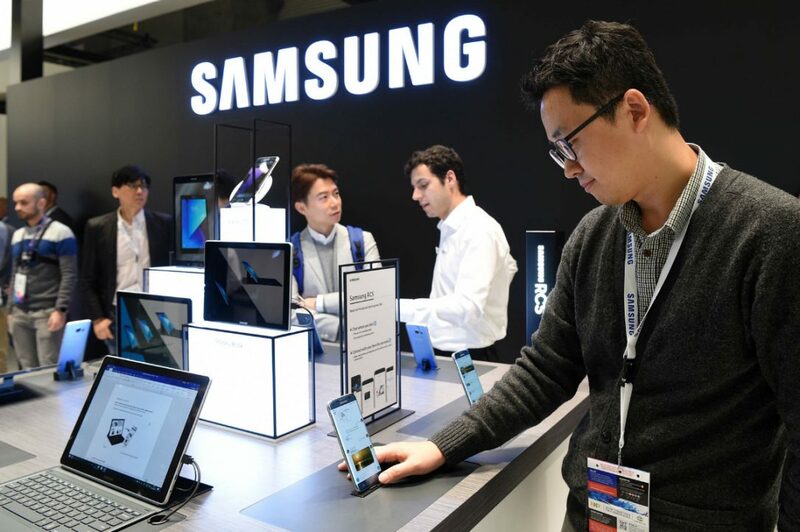 The Korean giant added that newly unveiled artificial intelligence will be applied next to appliances like airconditioner or TV. "Since Bixby will be implemented in the cloud, as long as a device has an internet connection and simple circuitry to receive voice inputs, it will be able to connect with Bixby," InJong Rhee added. The Samsung Galaxy S8 will be unveiled at the 'Unpacked 2017' event in New York on March 29 and in the Philippines on March 30. MANILA, Philippines - Dubbed as one of the “Street Food Capitals of the World,” Philippines boasts its array of sumptuous and colorful snacks which are being displayed and peddled on every sidewalk of the country. Do we all have an idea on how our favorite “tusok-tusok” is being made? 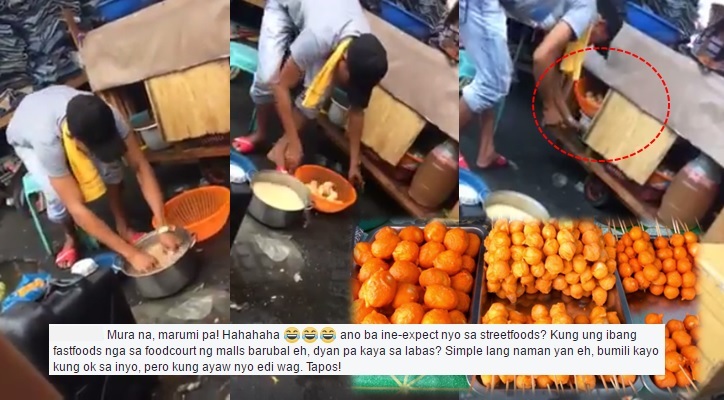 A viral video of “kwek kwek” and “tokneneng” vendor shows the street food enthusiasts how to do it the not so right way. Along with the infamous isaw and fishballs, kwek kwek and tokneneng are just some of the most sought after pinoy treats available everywhere. Who wouldn’t notice those cute orange-batter-coated and deep fried boiled eggs dipped in tangy and spicy sauce. You’re salivating now, aren’t you? Would you still crave if your ultimate merienda isn’t cooked the way it should be? An unnamed netizen took a video and uploaded it on Facebook showing a Baclaran-based peddler recycling his unsold tokneneng. Watch the video and see it for yourself. Are you freaking out right now? You should be. Clearly, it’s not the proper way of preparing and cooking any food. It’s just so unsanitized. Obviously, the seller doesn’t want to divulge his “secret recipe” to his patrons that’s why he keeps on peeking from the back of his cart as he removes the saggy and maybe days-old coating of his eggs and wash them for another batch of “delightful snacks.” Unknowingly, he was secretly taped and his gross video all of a sudden leaked. Notice also his preparation area. How many dirty shoes and sandals pass through that avenue daily? Thousands perhaps. How many bacteria there are in that specific place? Millions or even billions maybe! Diarrhea is just one of the many foodborne illnesses that we can acquire if we consume unsanitized food. Screenshot from 'Matalinong Matsing' Facebook page. This stomach-churning video clearly violates Republic Act No. 10611 or Food Safety Regulatory System in the country where all food sellers must consider and protect the health of their customers. This law doesn’t exempt market or even sidewalk vendors. Anyone can file a complaint at the local LGU where local officials along with the DOH can investigate on the said matter. If proven guilty of violating the food safety act, a possible revocation of business license will be imposed. Should the vendor will not be able to present any business permits, he or she will be facing a bigger legal consequence.